There a host of excellent photography exhibitions taking place this July, including world-renowned photographer Wolfgang Tillmans’ first-ever South African exhibition and a retrospective of the photography of the late David Goldblatt, as well as remarkable photographic dedications to the life of Nelson Mandela and showcases of exciting and innovative new work by young South African photographers. 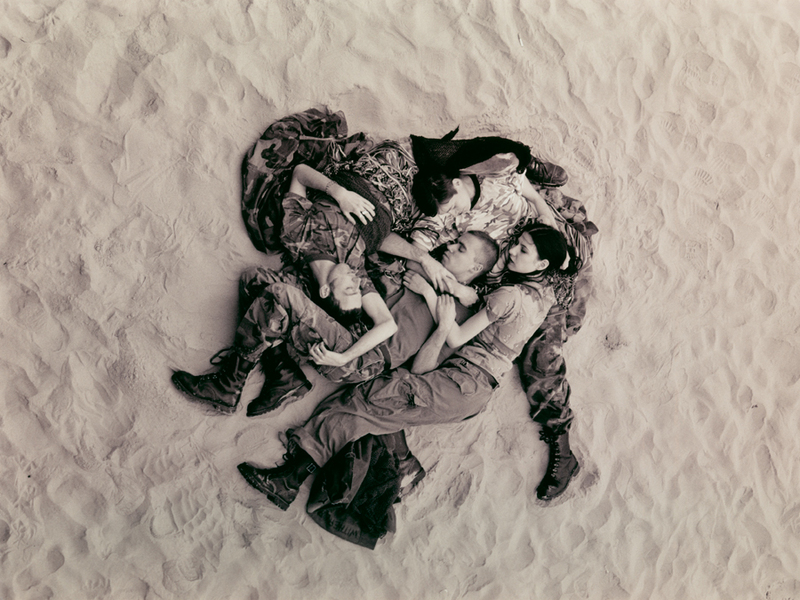 Here’s our roundup of the best photography exhibitions to look out for in Joburg this July. Turner Prize-winning German photographer Wolfgang Tillmans’ work comes to South Africa for the first time with this huge retrospective exhibition, Fragile. Fragile provides a comprehensive overview of Tillmans’ photography with more than 200 works created between 1986 and 2018 on display. As well as large-scale prints and unframed photographs, the exhibition also includes sculptural objects, video installations and music. Throughout all of his works there is a constant, tangible feeling of intimacy, empathy and familiarity which reflects Tillmans’ never-ceasing curiosity and fearless approach towards photography. A must-see, world class exhibition. Johannesburg Art Gallery, King George St, Joubert Park. Open 10:00-17:00. Closed Mon. 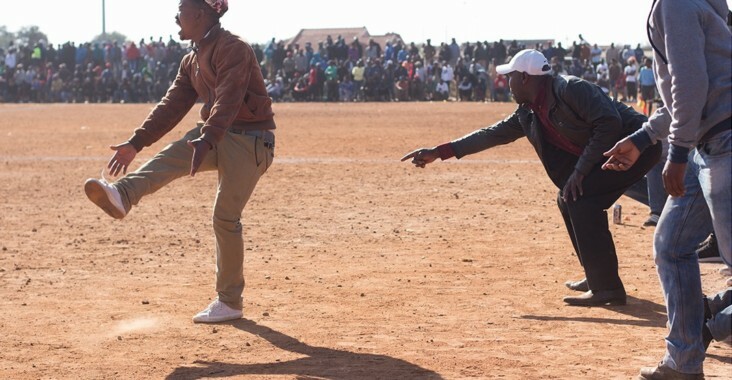 Of Soul and Joy is a non-profit project that aims to empower young South African photographers by helping them access the spaces and expertise that can help them foster their talent. 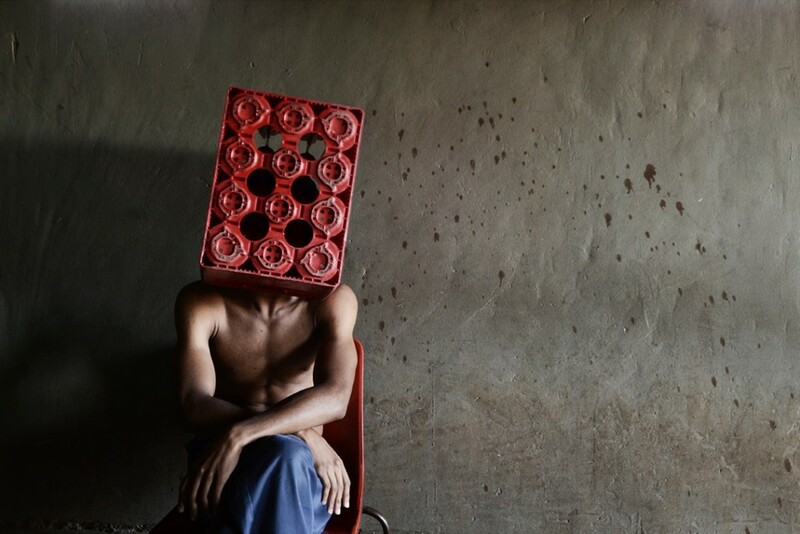 More than ten photographers from Thokoza (whose name means ‘place of peace’) who have been working with of Soul and Joy since 2012 are taking part in this extensive exhibition, including Tierney Fellowship winner Tshepiso Mazibuko. The work that these young photographers produce is a compelling mix of personal narrative and local culture, that deftly portrays the complex identities of South Africa’s youth. Stop Sign Art Gallery, 141 Lilian Ngoyi St, Newtown. Open 10:00-17:00, Sat, Sun 11:00-17:00, Closed Mon, Tue. For the first time ever, works by two of South Africa’s most celebrated photographers, David Goldblatt and Peter Magubane, are on display side-by-side in this groundbreaking exhibition at Goodman Gallery. Working as a photojournalist and activist during the apartheid era Peter Magubane is perhaps best known for his images of the 1976 Soweto riots and of the young Winnie Mandela. 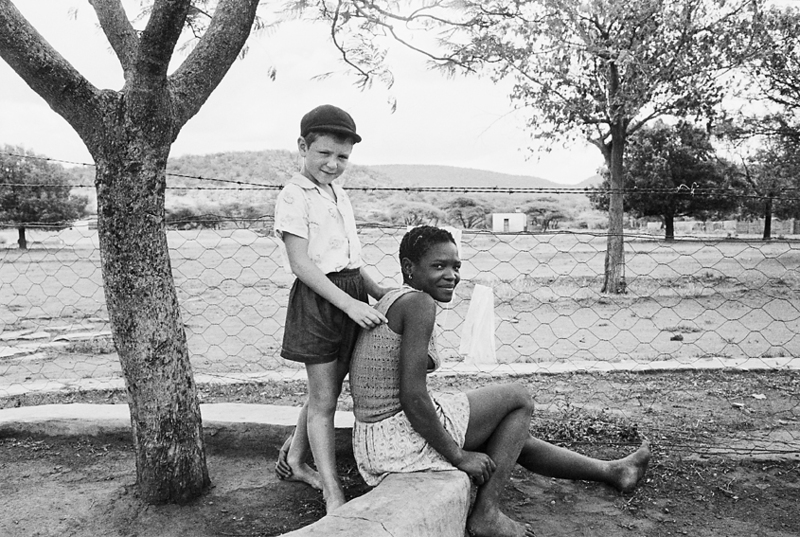 The late David Goldblatt was also a prominent documenter of the horrors and absurdities of apartheid, or as he called it the “banal normalities of white madness”, although in contrast to Magubane, Goldblatt focused his lens largely on everyday scenes, capturing some of the most iconic images of everyday black and white life under apartheid in South Africa. Goodman Gallery, 163 Jan Smuts Ave, Parkwood. Open 09:30-17:30, Sat 09:30-16:00. Closed Mon, Sun. More than ever, we hear news of Africans, particularly those from western and north Africa, migrating to ‘other worlds’ such as Europe in search of what they hope will be a better life. But what of those left behind? How do they manage their dreams, anxieties and their expectations and hopes for the future? 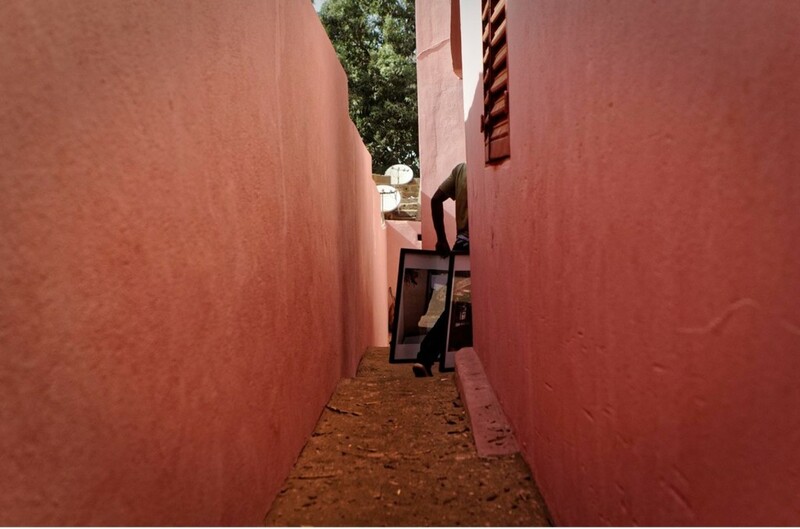 In this photo essay, Tierney Bamako Award winning photographer Moussa John Kalapo follows the everyday lived experiences of a fellow Malian, Saba, who lives in Bamako, carefully capturing his everyday life, family relationships, his spirituality and connection to the land. Market Photo Workshop, Market Square, 138 Lilian Ngoyi St, Newtown. Open 09:00–17:00, Sun 09:00-16:00. 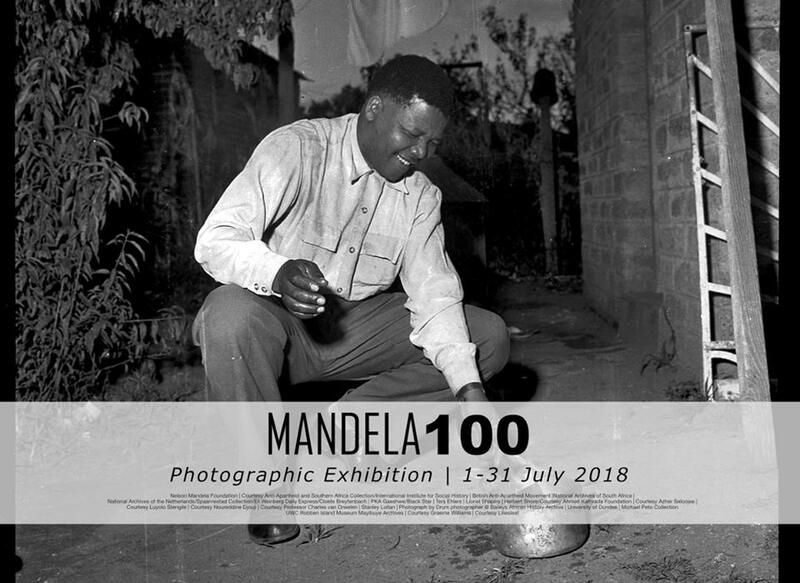 This must-see photography exhibition, held in collaboration with the Nelson Mandela Foundation, celebrates Nelson Mandela’s 100th birthday with an incredible selection of rarely seen historical images of Nelson Mandela on display. The photographs come from public and private collections including the Ahmed Kathrada Foundation, the British Anti-Apartheid Movement, the National Archives of South Africa, the Baileys African History Archive, the Liliesleaf museum and Robben Island Museum and show Mandela during some of the most crucial and iconic moments of his life and career, as well as sharing quiet moments with family and friends. FotoZA Gallery, 4th floor, Rosebank Mall, 50 Bath Ave, Rosebank. Open 10:00–17:30, Sat 09:00–16:00, Sun 10:00–16:00. This July the atrium of Keyes Art Mile’s iconic Trumpet building plays hosts to no less than three photographic exhibitions as part of this month’s focus on photography at the arts hub. On display are images from Season 1 and 3 of the 21 Icons project, an annual collection of unique narrative portraits and short films of South African icons. Joburg’s Market Photo Workshop is also represented with their group exhibition Constructions: History As Form that tackles photography as a site of tension in history. The third exhibition on display is photojournalists Alon Skuy and James Oatway’s Killing the Other. 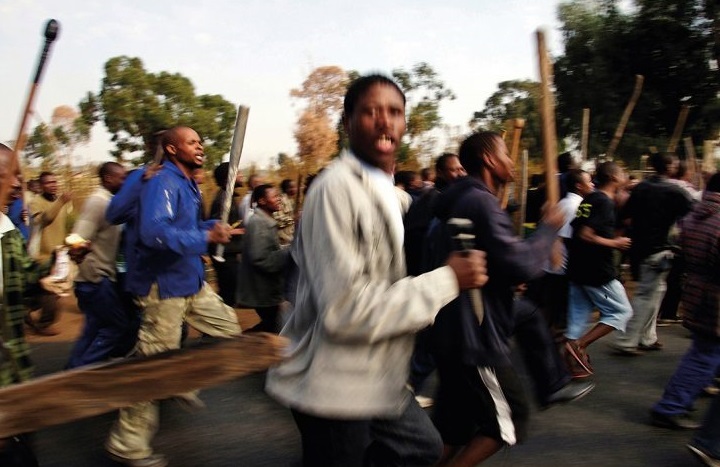 The exhibition marks the tenth anniversary of the shocking outbreak of xenophobic violence which swept through South Africa and documents the continuing flare ups of xenophobic violence in the country since 2008. Keyes Art Mile, 19 Keyes Ave, Rosebank. Award-winning South African photographer Sabelo Mlangeni explores the daily world of the Zionist Christian Church (ZCC) community in southern Africa (a faith of which Mlangeni is a member) in his memorable and engrossing images. 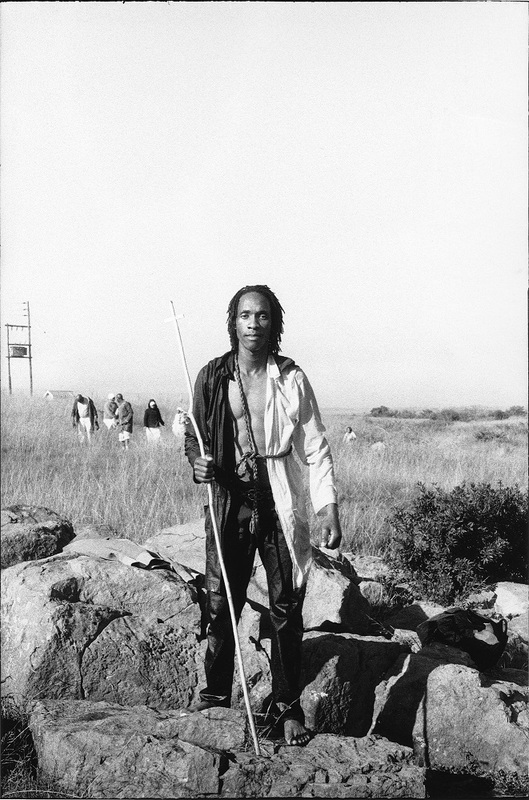 In particular his work engages with the history and contemporary practice of this faith, estimated to have a following of around four million people in South Africa alone. Wits Art Museum, University Corner, cnr Bertha St and Jorissen St, Braamfontein. Open 10:00-16:00. Closed Mon, Tue.